One of the first mass participation runs of the year, the Morrisons Great Winter Run, has reached its entry limit. A record 3,000 people have signed up to take on the challenging 5K around one of the city’s most iconic landmarks, Arthurs Seat. The junior event has also reached capacity with over 300 keen young runners expected to tackle the 2.5k course in Holyrood Park. Event Director Alex Jackson said,” We’re thrilled so many people are starting the New Year on the right foot, and taking on the Morrisons Great Winter Run on Saturday. For visitors and locals alike, the picturesque course is a great way to see Dunsapie Loch and offers some brilliant views of one of the country’s most beautiful cities. The mass participation events are part of a packed schedule of athletics including the Morrisons Great Edinburgh XCountry. The event, which will be televised live on BBC One and BBC One HD from 13:00 to 14:30, features world class talent competing in three events; the International Team Challenge, which see’s junior and senior teams from GB & N.I. take on the USA and Europe, the Men’s invitational 4K with a competitive field of international athletes, and new for 2015, an innovate mixed Cross Country relay, where pairs of male and female runners will compete over a fast and furious 1K lap. The event is completely free to spectate and no tickets are required. High profile names appearing include; two time World champion and former Olympic champion Asbel Kiprop (KEN), 2014 Commonwealth Games Champion James Magut (KEN), 2014 European Cross Country Champion Gemma Steel (GB&N.I.) 2014 European Championship bronze medallist and 2013 World Championship finalist Chris O’Hare (SCOT) and 2014 European Junior Cross Country Champion Yemaneberhan Crippa (EUR). 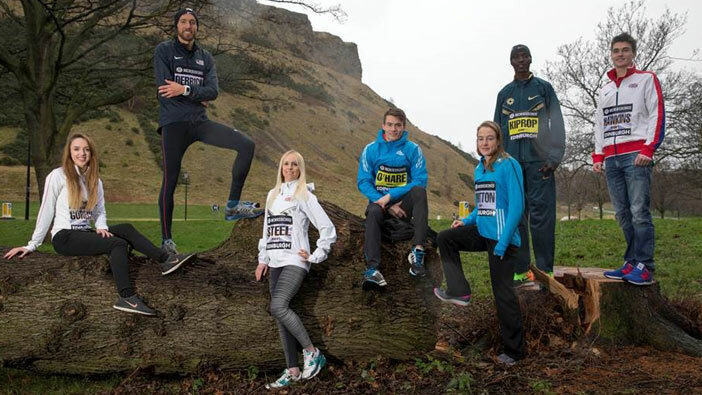 The home crowd will have plenty of local talent to cheer for, as joining O’Hare will be the 2014 Scottish Cross Country Champion Callum Hawkins, who also placed 5th at the recent European Cross Country Championships and one of the world’s fastest 1500m runners of 2014 Laura Muir, who along with Ross Matheson, will don a Scotland vest in the novel 2 x 1km cross country relay race. The event also hosts the Scottish Athletics Inter-District races for both junior and senior runners. Although the weather will be chilly, spectators can expect a warm welcome at the event village, with a number of hot food and drink options, including gourmet burgers, home-made soups and toasties, located next to the Morrisons Great Edinburgh XCountry start line, seating areas will be available to enjoy any refreshments, just steps away from the action.